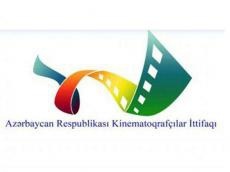 Azerbaijan Union of Cinematographers has announced a screenwriting competition for short films "Yeni n?f?s-3", timed to the 120th anniversary of national cinema. The contest aims at the development of the creative activity among young cinematographers, the identification and support of talented screenwriters, the enrichment of the national cinema with new ideas. The competition accepts scripts written in various genres, including feature films, documentary and animation, Trend Life reported. Persons under 35 can take part in the contest. All works should be new and authored, with an original storyline. The scripts should be not previously screened. The volume of the material should not exceed 20 pages (format - Courier New, font -12), printed in triplicate and also provided on a CD-disc. Together with the script, one should send his autobiography. Everyone can submit more than three scripts. The works must be submitted until September 25. The winners will be selected by the competent the jury. The first place will get a prize in the amount of 2,500 manats. The winner of the second place will get 1,500 manats, while the third place winner will receive 1,000 manats respectively. The results will be announced in October, 2018.